You will be a part of something very special this month. 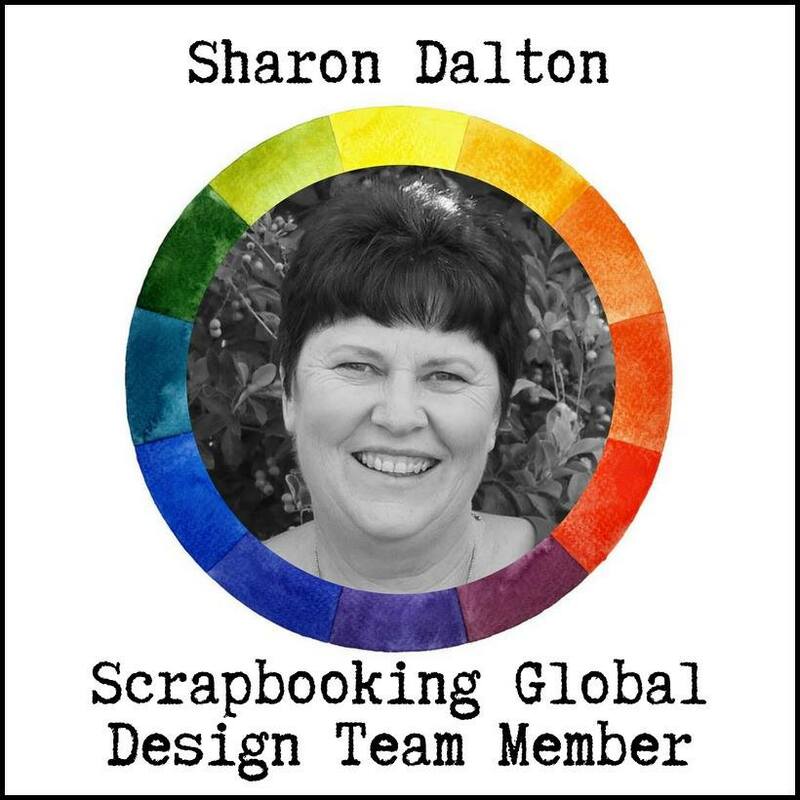 We have 24 Scrapbooking Global members hopping for the first time. This Month Danielle Bennenk chose our theme and isn't it a great sketch. I cannot wait to see all the different designs from this sketch. Sara will have something pretty special, she always does. I have kept my layout very simple, just like the sketch. 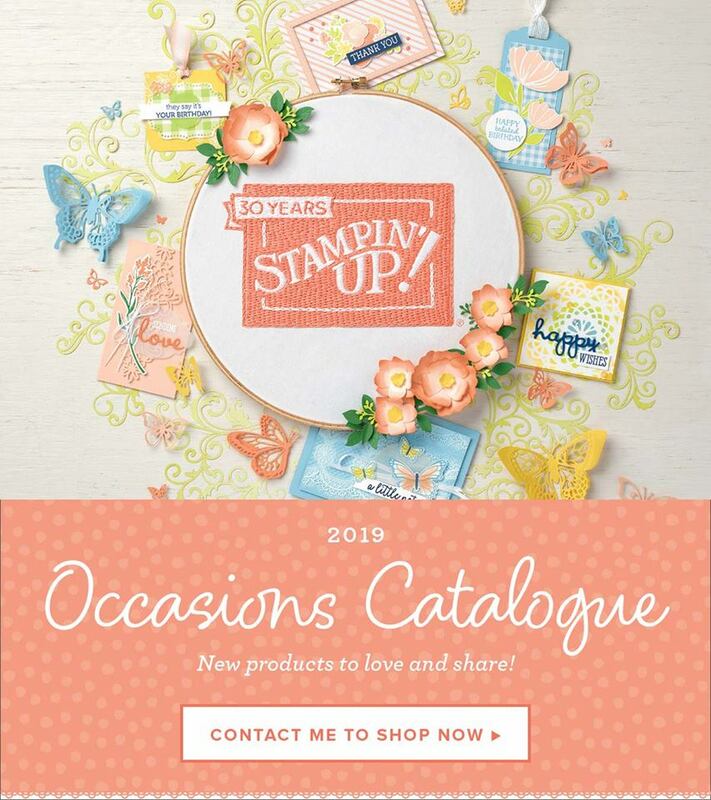 pg 195 of the Annual Catalogue. As you can see there is a variety of cards and sticker sheets and pre printed titles. 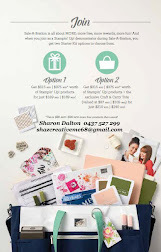 These products are created especially for our photo pocket pages. and as part of my Scrapbooking Layouts, they are just so versatile. As I have scrapped photos from this occasion before see at the bottom of this post. 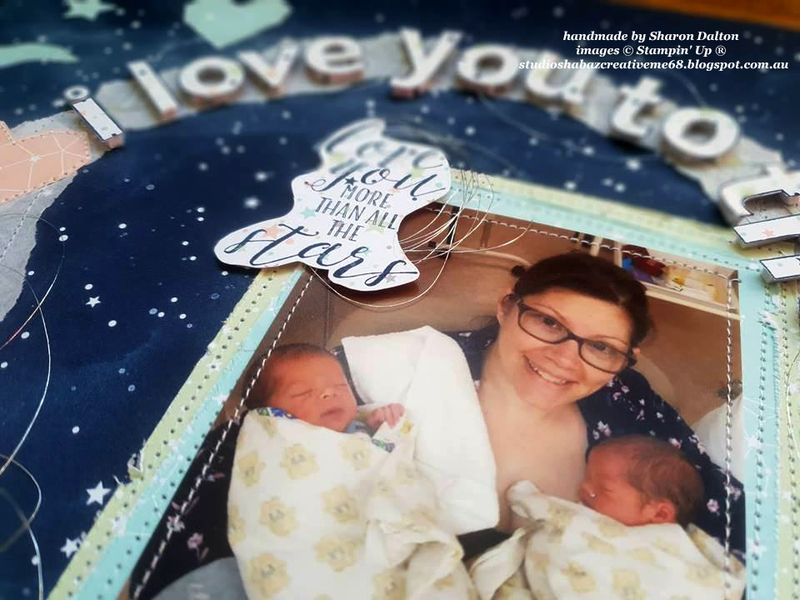 I wanted to create a Title Page look page. 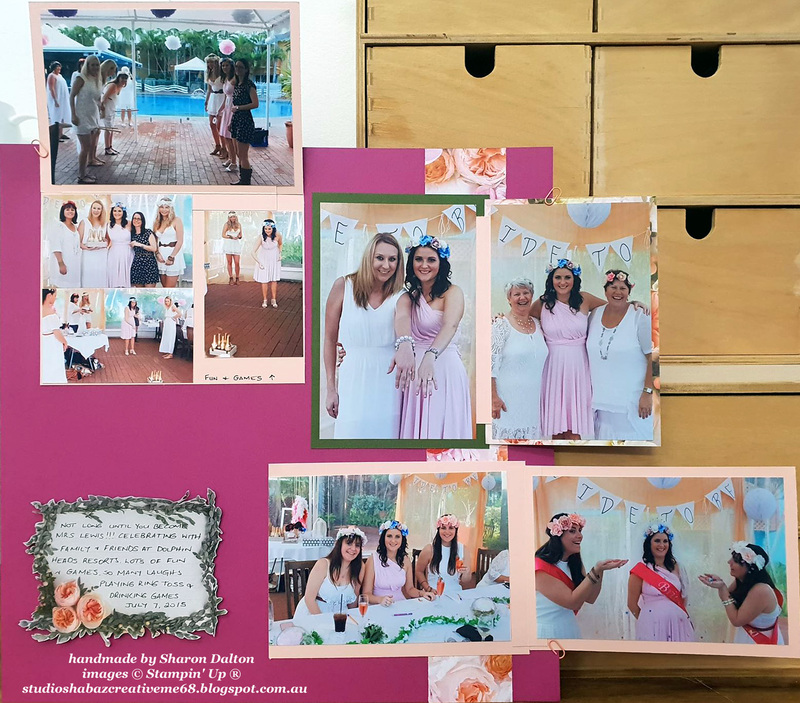 So I used 5 different sized cards and laser cut speciality cards. I had to cut them down BUT that is the beauty of these cards. I cut the top off of this one and used it on another card on this layout. 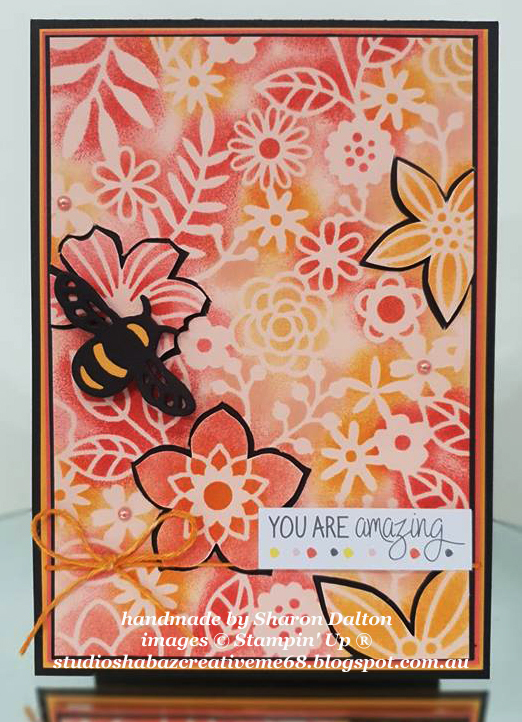 Such a gorgeous colour this card in Grapefruit Grove matches the backdrop. 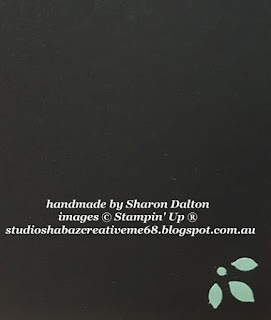 There are also journalling cards throughout the pack too. So makes it easy to journal on your layout. It is called the Detailed Trio Punch. and the one I used has the 3 punched teardrops and small dot. and then added some Mint Macaron punched out pieces back in the corners. You could have also just added a piece of cardstock behind the black background. Here is the completed layout, as I said it is very simple staying true to the Sketch. Up next is Danielle Bennenk with her design for this Sketch. 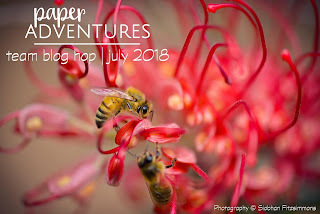 Thank you Danielle for your Blog Hop Theme for July. 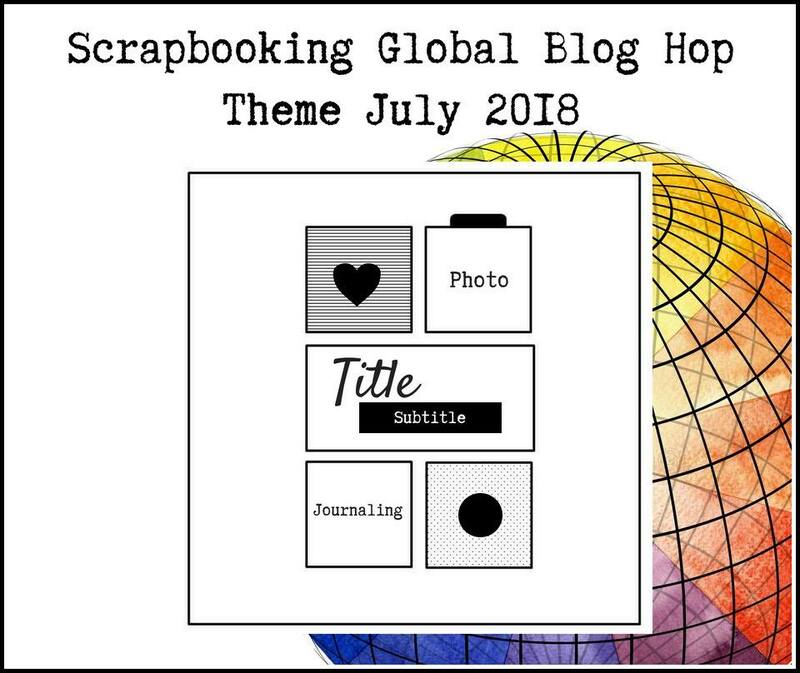 Check Scrapbooking Global on August 1 for more details. 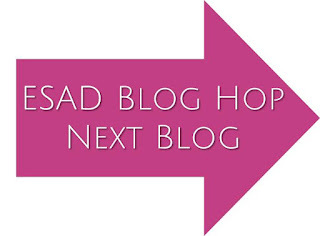 Thanks for following my blog, please continue on the rest of the hop participants. 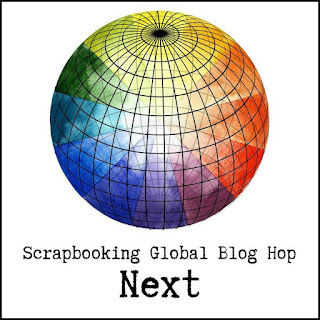 Welcome to Scrapbook Sunday Blog Hop July - Designer's Choice. 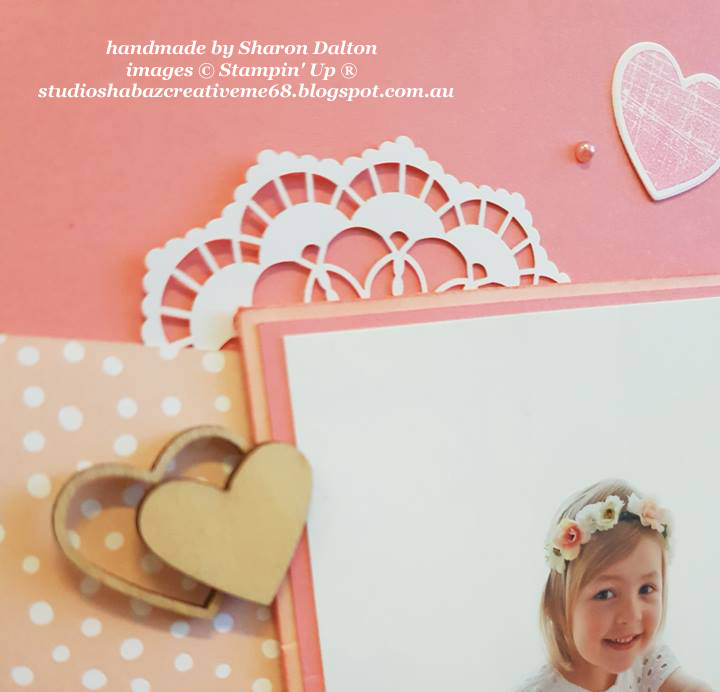 Polka Dot Tulle Ribbon, Big Plans Memories & More Card Pack. Retired Touches of Nature Elements. 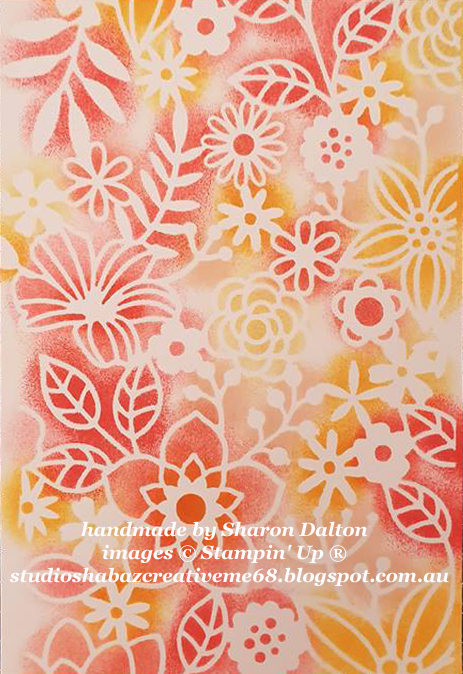 add a few different drops of Classic Stampin' Ink Refill. Great promotion on at the moment Buy 3 Get 1 FREE. Have you taken advantage of it yet? 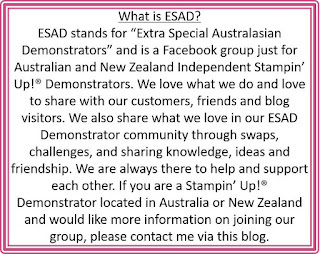 19 Members of ESAD are hopping today, what is ESAD you ask? 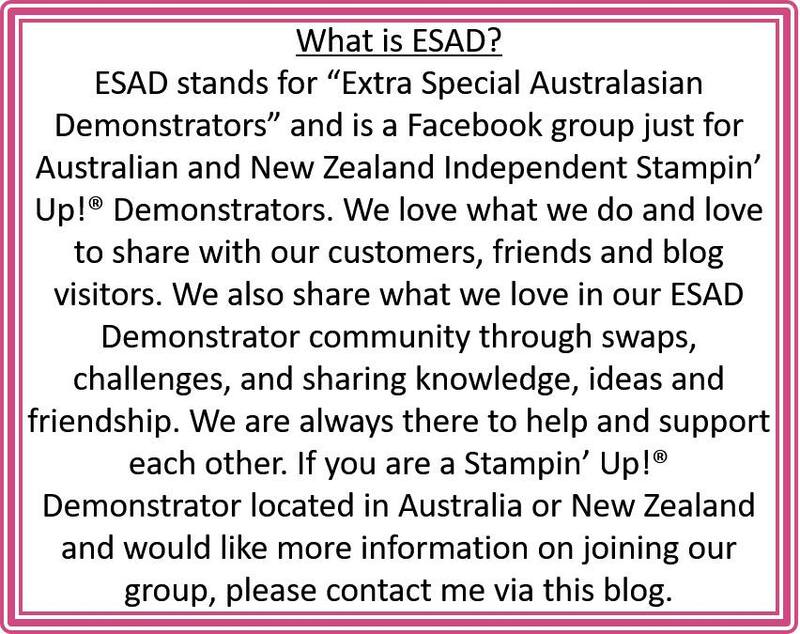 ESAD is Australian and New Zealand Demonstrators who are part of FB group. 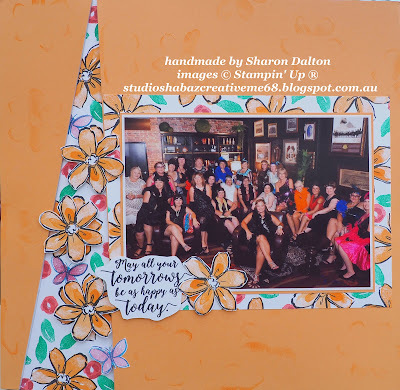 it is created by Photographic floral designs. These papers have marble designs, and textured appearance on the other side. It matched my Daughter's Bridal Shower photos perfectly. for the mats which complimented the Floral DSP. Here is the 2nd page. I had to use paper clips to hold the photo down to take the photo. AND I even wrote some journalling!!! 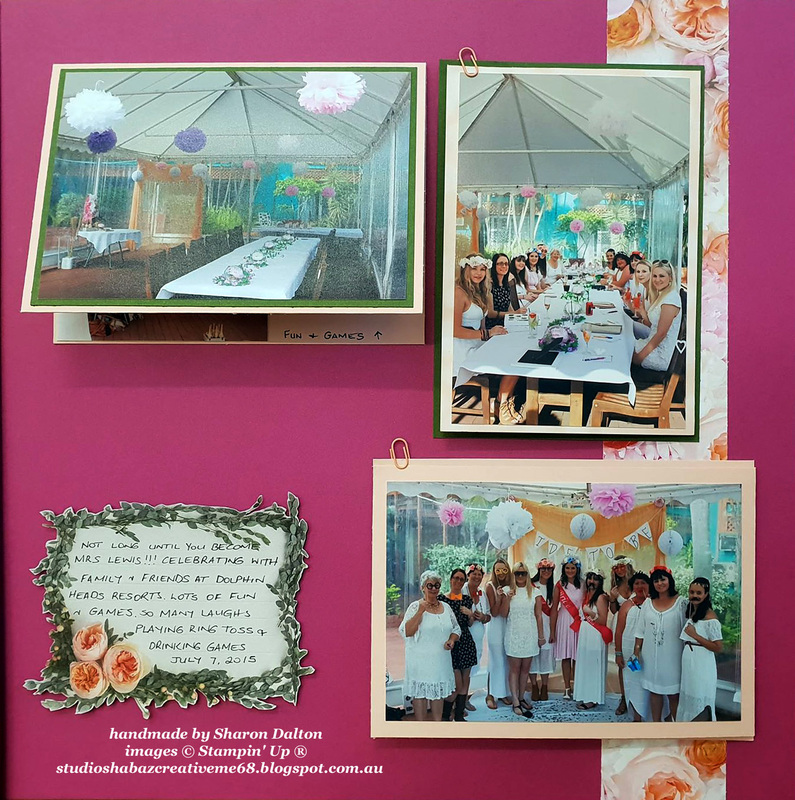 Up next is Kim Oliver, she is so creative and I cannot wait to see what she has designed. 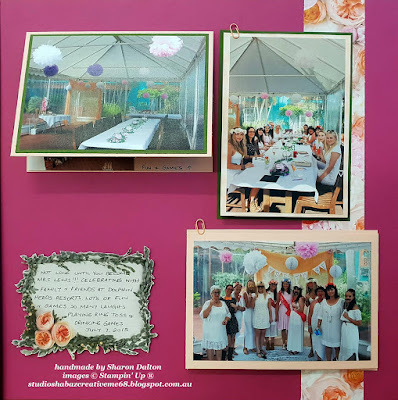 I was invited by the lovely Kelly Kent to be a guest designer this month. 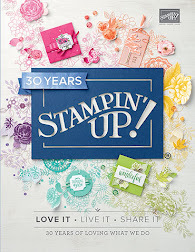 So excited to be joining Kelly and her team for this HOP. Without further ado...This months hop is a photo inspiration. Siobhan Fitzsimmons this photo is just STUNNING!!!! 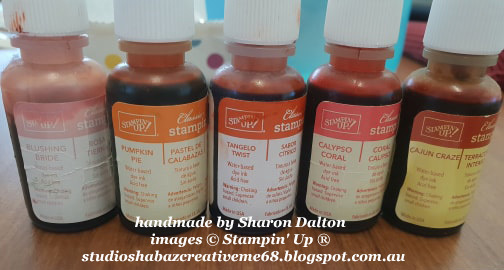 colours only by Stampin' Up! colour palette these days? Mango Melody, So Saffron, Crushed Curry and Basic Black. Starting with a piece of Delightfully Detailed Laser-cut Specialty Paper. distinct patterns with beautiful designs. So many ways to use this Vanilla or White sheets. 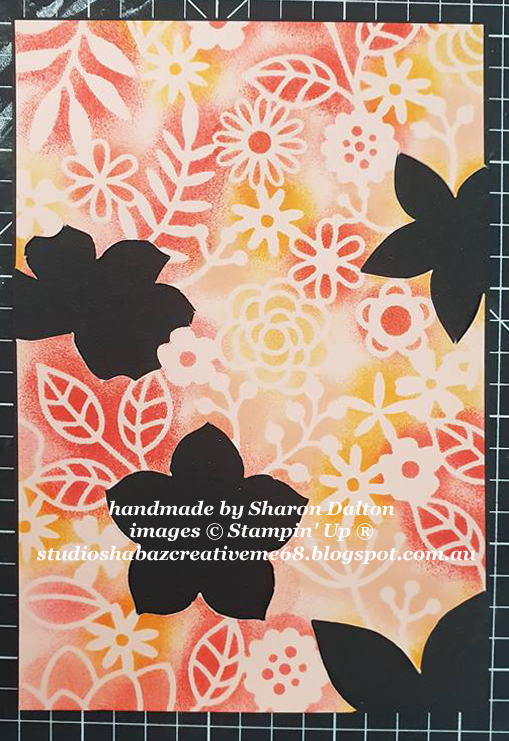 I used Daubers in all the matching colours to colour in the design. on a piece of Petal Pink Cardstock, sorry I forgot to take a progress picture. piece of Petal Pink cardstock... So pretty RIGHT?? 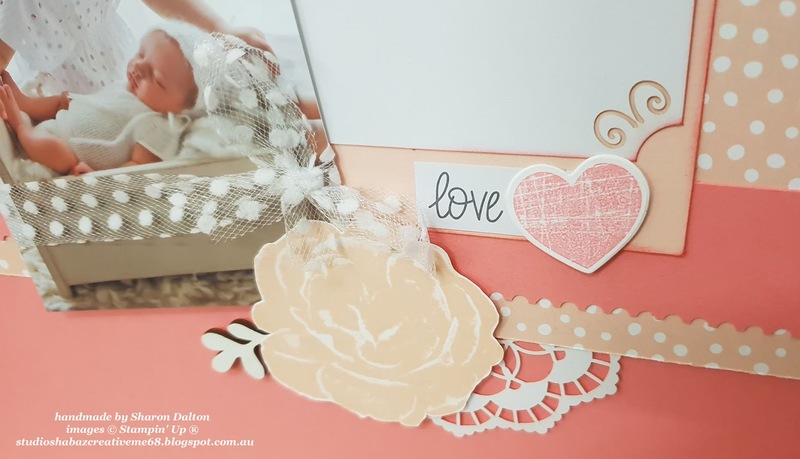 Save the laser-cut piece for the next card. 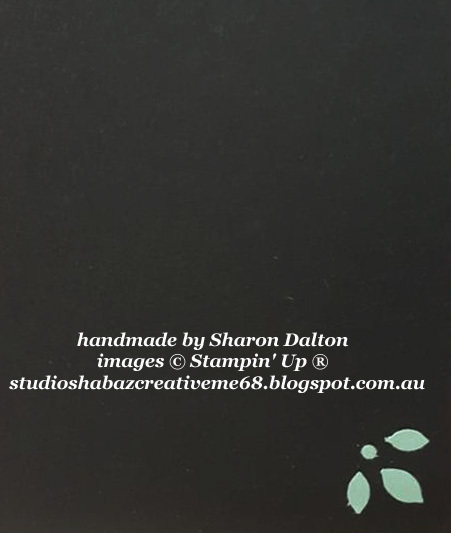 to add some dimension to the card. I popped the cardstock onto some black cardstock. stuck them to the black background. the white twine to Mango Melody twine. Wrapped the twine around the card and made a separate bow to place on top. Diecut 2 bees from Basic Black Cardstock with the Detailed Dragonfly Thinlits Dies. the 2 sets of wings to make it more life like. Flirty Flamingo and the other in Mango Melody. BUT if you don't know me, I am a bit of a paper saver for other projects. that I had Big Plans Memories and More Card Pack with sheets of stickers. 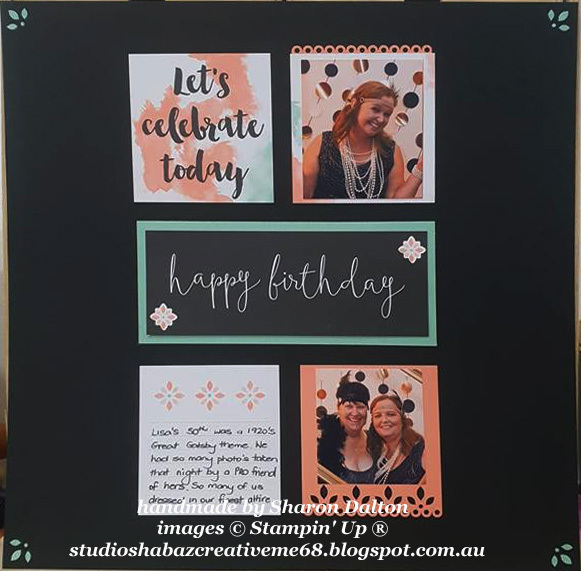 Next I added some of the Share What You Love Artisan Pearls to my card. 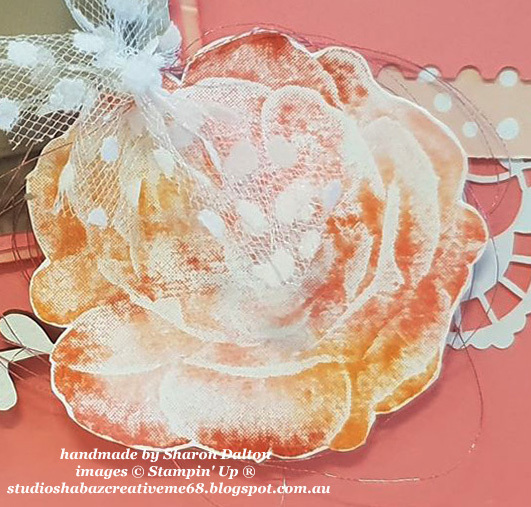 add glue to the back of the paper, then carefully place down on your card. to make...REMEMBER that cardstock that I saved!!! I used the BigShot and Celebrate You Thinlits Dies to create my sentiment. and 1 Amazing from Basic Black as well as a YOU in Basic Black too. 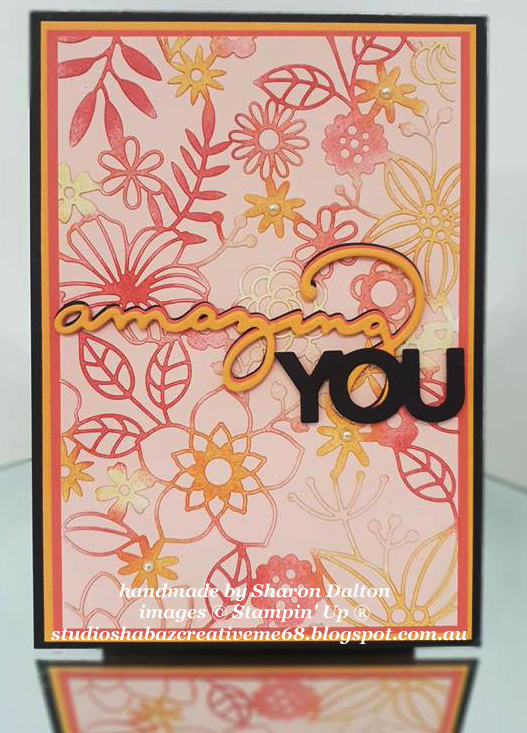 Add the finished word Amazing to the card then add You on top of that. Added some more of those gorgeous pearls AND this card was finished. I was going to create a layout with this sunset photo for this Blog Hop. 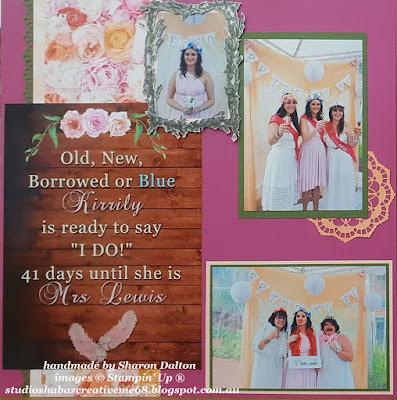 I may still use these same colours and create a layout yet!!! I decided to go with a card instead. will be totally AMAZING creation using inspiration from Siobhan's photo. This layout was made for a friend who has just had twin boys. Krissy and Andrew truly have been blessed with these 2. I knew immediately that I MUST scrapbook this precious photo. 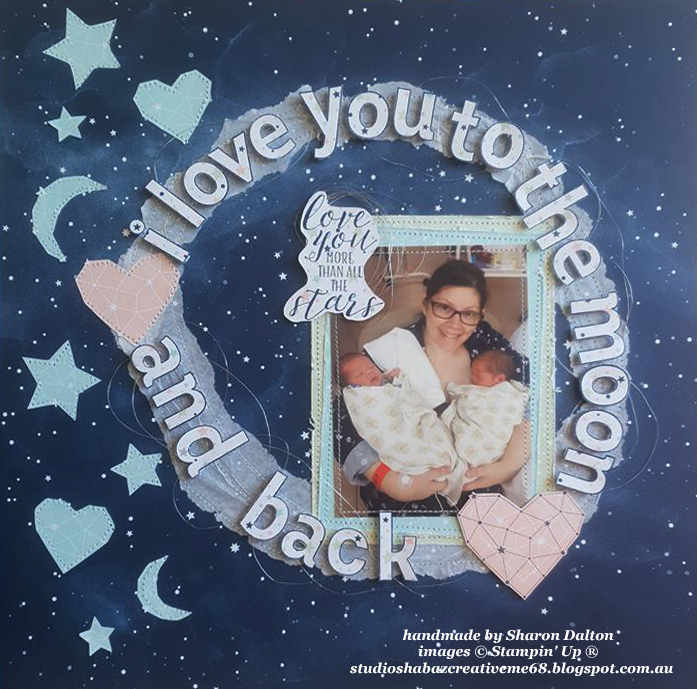 Twinkle Twinkle has the most gorgeous DSP and it is just perfect.I fussy cut out all the stars, moon and the heart and I stitched them to the page. and created a circular shape to create the moon outline. 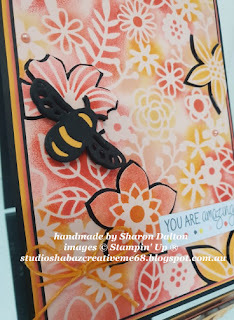 I then stitched it to the DSP too...I used glue dots to stick it down. I could mount it on more of the beautiful DSP. then proceeded to stitch around them. with a piece of paper to protect it from the sewing machine foot then stitched all around. 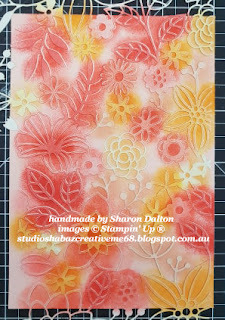 This was also done using Glue Dots. 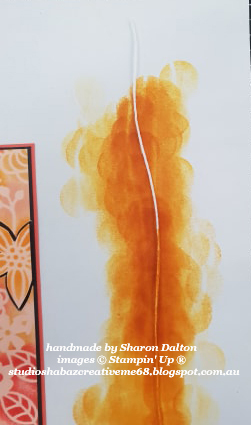 That thread is so fine!!! Just gave the moon the pop I wanted. 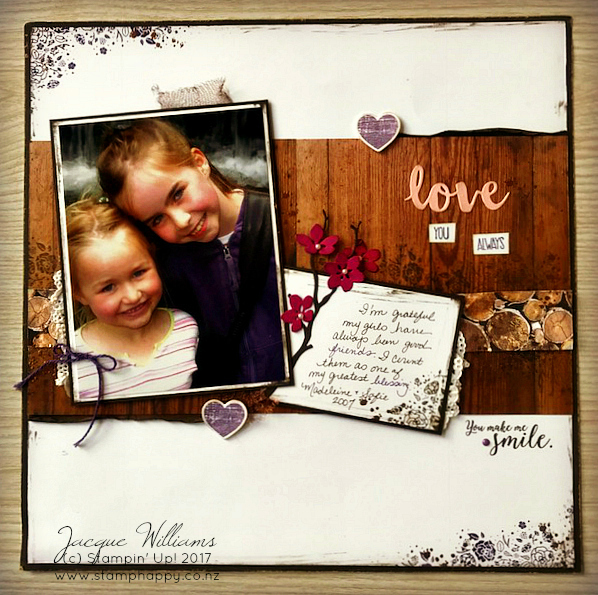 Next I stamped the larger heart on the already printed pink heart with Night of Navy. 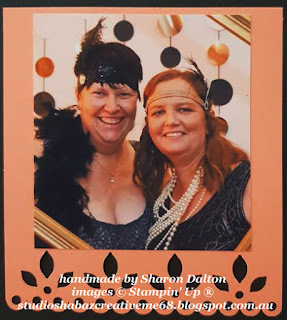 Popped it up with Stampin' Dimensionals. dimensionals and popped it right on the corner of the photo. and Night of Navy, then fussy cut all of them for my title. 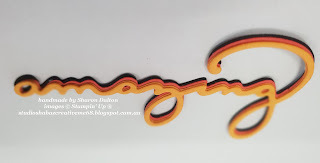 I used Foam Adhesive Strips to mount the letters around the moon shape. 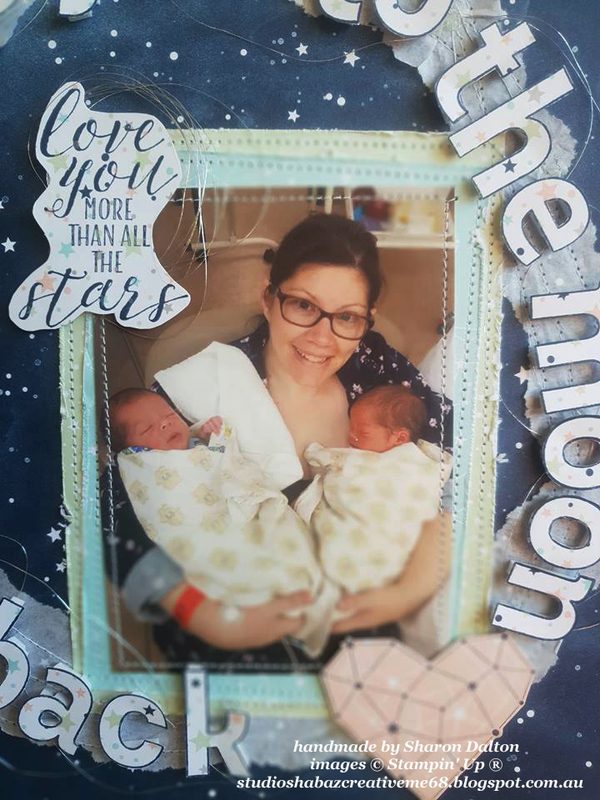 all over the world I will show you the finished layout. we have lots of exciting things happening over on the page. 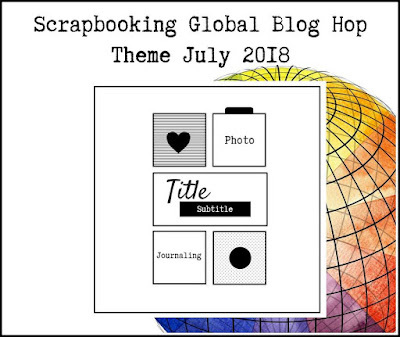 each designer creates a Challenge and Blog Hop theme. 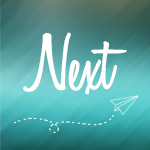 Come on over and see what we are all up to.